Why is bonsai media different from other potting media? Can I use regular potting mix for my bonsai? What is the best thing to add to increase drainage in a bonsai mix? Do I need to screen my bonsai mix? Why? These are just a few questions that we as bonsai artists ask about bonsai soil. The truth is no one can say they understand everything that goes on within the media of a growing bonsai tree. There is an incredibly complex web of biological, chemical, and physical interactions all at play simultaneously. We as artists and horticulturalists strive to exert our control over these processes, but when all is said and done we are at the mercy of the soil and we keep our fingers crossed. I have been looking at these questions and more to try and provide logical and scientifically grounded answers that I hope will demystify the vague concept of bonsai soil. Many books have been written on the art and horticulture of bonsai, but all that I have seen fall short in explaining the “whys” involved with choosing the right mix for a tree; so I’m writing it myself. 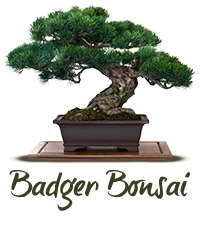 Bonsai soil will be the focus at our March meeting. Before you repot anything this year, bring your questions and an open mind. We’ll be digging deep into a shallow pot.